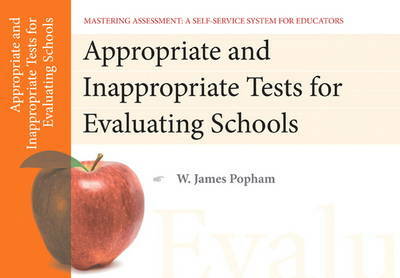 uncovers why many of these tests are ineffective and presents more appropriate assessments as alternatives. The Mastering Assessment series is a set of fifteen practical, easy-to-use booklets covering a wide range of topics related to educational assessment and accountability. These groundbreaking booklets put the most relevant information on assessment at teachers' fingertips and provide an important resource for educators looking to learn the ins and outs of becoming "assessment literate." Paired with the series' Facilitator's Guide (available for download at no additional charge from Pearson's Instructor Resource Center), Mastering Assessment is the perfect tool for building assessment literacy either in self-study or a professional development program. * Reliability: What Is It and Is It Necessary? * Test Preparation: Sensible or Sordid?